Mother (to District Visitor). “Lumme Miss, there ain’t no danger of infection. Them children wot’s got the measles is at the ‘ead of the bed, and them wot aint is at the foot.” Wood engraving by S. Wood, 1915. : Wellcome Library, London. When I was about seven, I spent a year going through every infectious disease that children could get in those days: whooping cough, rubella, mumps, chickenpox and measles. With measles, you got sore eyes, a hacking cough, a high fever and a rash that covered you all over. 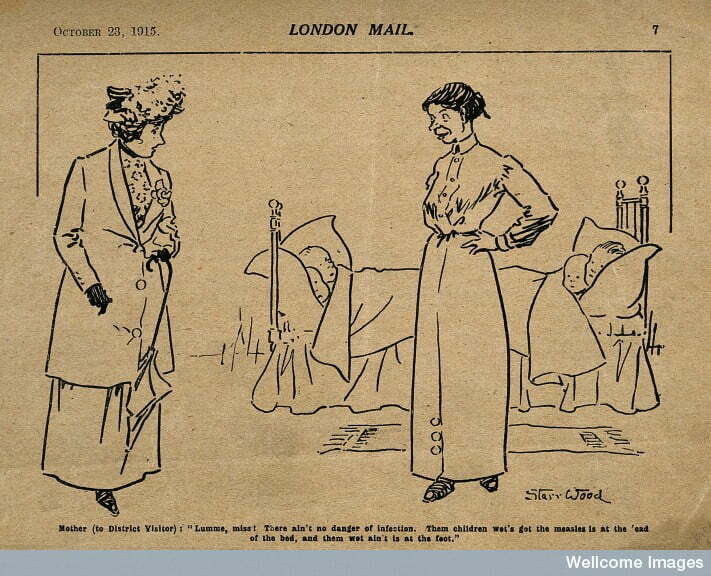 At the time, bed rest in a darkened room was compulsory. My mother left the house to do some quick shopping while I was lying abed, but her timing was poor: a thunderstorm was brewing, and while I lay alone with the curtains closed, the chimney was struck by lightning, the room was shaken by a loud explosion and I was covered in soot. That same year (1957) more than 600,000 other British children got measles, and 94 died. More suffered permanent brain damage or deafness due to measles encephalitis. But with the great majority in the developed world getting off lightly, there was no major drive to eradicate measles here until the late 1960s. 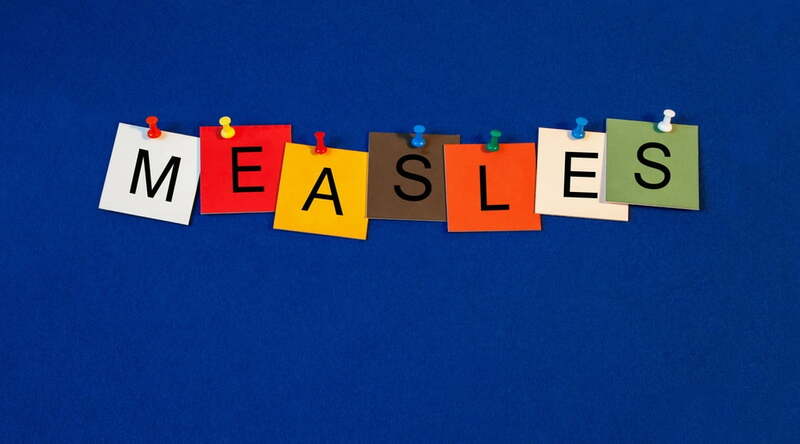 In the last two decades in the UK, only 22 children have died from measles, showing the effectiveness of population protection from measles-mumps-rubella vaccination. 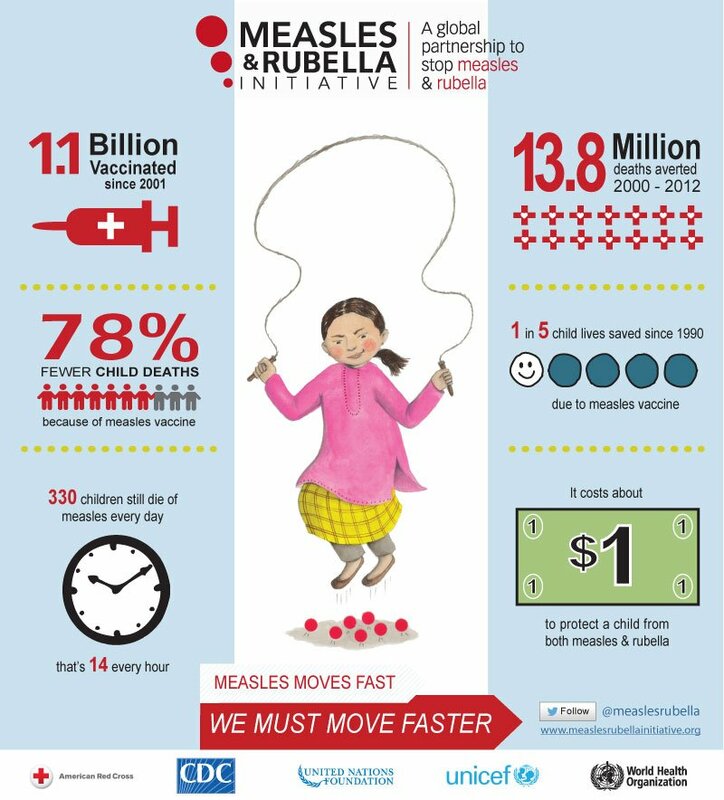 Historically, measles has been a much deadlier disease, and remains so in many poorer countries. A new Cochrane review of post-exposure passive immunization for measles shows some bafflingly high mortality rates from measles. In the control group, taken from nine studies,142 per 1000 subjects exposed to measles died from it. This was reduced to 34 per 1000 by the use of passive immunization. A death rate of more than one in ten from mere contact with measles? The extraordinary thing about this Cochrane review is that it relies heavily on trials conducted in the years 1920-1944. We know that mortality from measles is strongly associated with malnutrition, especially lack of vitamin A, and that poorer children in Europe and America between the wars were often underfed. An effective vaccine against measles was not developed until the 1960s, so in those days the only way to protect vulnerable children from measles was to give them an injection of other people’s antibodies. The trials varied and sometimes failed to specify the kind of preparation used. Today it would most probably be pooled immunoglobulin with a defined level of activity against measles. So this Cochrane review gives quite strong evidence that people exposed to measles are less likely to get the illness, and less likely to die from it, if they receive a boost from serum extracts containing other people’s antibodies. The effect size probably depends on the kind of preparation used and exactly when it is given in the post-exposure period, things that cannot be determined in many of these early trials, which were published long before the era of standardized reporting. Translating this into a take-home message for readers in Europe and the USA today is problematic. The target date for eradicating measles in Europe is 2015, but we know that sporadic outbreaks are still likely to occur wherever rates of vaccination are low, for whatever reason. This happened in South Wales last year, and has also occurred in the US when imported measles has produced small epidemics among communities which have religious objections to immunization. The immediate response to the UK epidemic of 2013 was to maximize immunization using MMR vaccine, and I have not been able to find out from any published source whether passive immunization was used at all. If it was, it would probably have been in a few highly vulnerable people with impaired immunity or chronic illness, and perhaps in pregnancy. In an Australian measles outbreak in 2006, normal human immunoglobulin was used if more than three days and less than eight days had elapsed form the time of contact with measles. The protective effect in this observational study was about 75%, consistent with the older trials. Measles is a still a major killer in some countries today, but further trials of passive immunization versus placebo would be unethical, because its protective effect following exposure is here established beyond reasonable doubt. Prevention by universal vaccination is of course always much to be preferred. This Cochrane review, analyzing nine studies which mostly fall well below current standards of rigour, is probably as far as we will ever get in assessing the usefulness of passive immunization following measles exposure – because exposure itself is hopefully set to become a thing of the past. Young MK, Nimmo GR, Cripps AW, Jones MA. Post-exposure passive immunisation for preventing measles. Cochrane Database of Systematic Reviews 2014, Issue 4. Art. No. : CD010056. DOI: 10.1002/14651858.CD010056.pub2.